DASH Systems, a US start-up that has developed an unpowered glider that drops and delivers parcels directly off a flying cargo aircraft, won the top investment prize award worth US$140,000 at the Elevator Pitch Competition (EPiC) held at the sky100 of the ICC, the city’s biggest annual start-up pitching contest hosted by the Hong Kong Science and Technology Parks Corporation (HKSTP), last Friday. The competition attracted more than 1,000 entrepreneurs, venture capital firms, angel investors, industry players, incubators, accelerators and tech disruptors together. One hundred start-ups from all over the world with a focus on five technology areas: Artificial Intelligence & Robotics, Fintech, Healthy Ageing, Smart City, and Next Generation Technology were selected from 591 entries. Following an intense day of competition, including a 60-second pitch that took place in an actual ascending elevator and a three-minute pitch in front of the judging panel and a jam-packed audience, DASH Systems beat 99 other finalists from across the globe. “The large number of entries, diversity of participants and the enthusiasm they displayed throughout the competition pleasantly surprised us. 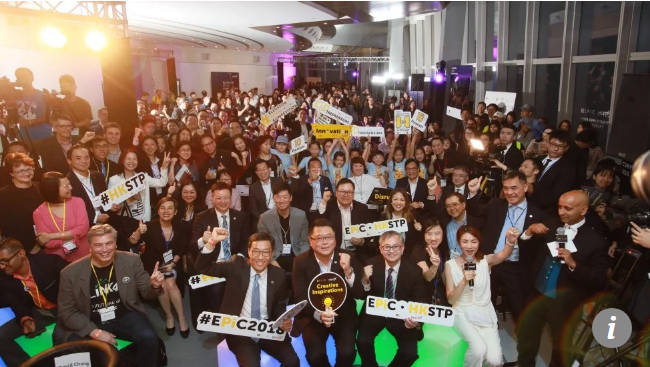 With around 70 per cent of the 100 finalists coming from overseas, their overall quality is very high,” said Albert Wong, Chief Executive Officer of the HKSTP. The competition has become a great platform for Hong Kong to show its strength as an innovation and technology start-up hub to the international community. The eagerness and interest shown by the participating start-ups are equally matched by an increasing number of investors who have also shown interest in the competition, he added. Apart from seed money and funding, entrepreneurs need connections to investors and mentors in order to get their product to the market. As a result, a healthy ecosystem must include the dynamic, fruitful interactions among committed entrepreneurs, mentors and investors. Dr Alan Chow, founder and CEO of Focus Capital Group Limited, was one of the investor judges for this year’s EPiC and has been a judge for the third straight year. In order for a tech start-up to succeed, it requires the right mix of people on the team sharing the same vision. “Not only do they have to show their innovation, more important is what the founders have learnt in their past entrepreneurial experience, and how committed they are to executing their vision,” he said. EPiC’s champion DASH Systems builds precision aerial delivery systems that allow any aircraft to land cargo without the need for runways or landings. Cargo planes can deliver up to five times faster and two times cheaper than commercial courier companies by not relying on slow ground vehicles or the need for distribution hubs. “It’s just a big honour to me. I’m so grateful for the award I’ve just received. It’s an amazing journey. I’m going to stay in Hong Kong for sure,” said Joel Ifill, founder of DASH Systems, after being announced as the champion and learning from HKSTP’s Wong that DASH Systems as the winner would be granted a place in an incubator programme in the upcoming year. 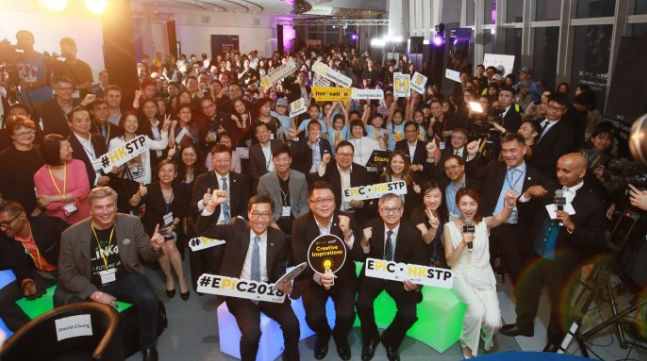 This year’s EPiC also featured a new programme, the “Kidtrepreneur” competition, which saw future entrepreneurs present their creative ideas. This competition allows children to learn from the senior contestants while demonstrating to the children, their parents and the general public, that the innovation and technology sector can provide them with a bright and promising future. Lauren Kwan, the champion of “Kidtrepreneur”, is the founder of “Stethoscopers”, a game designed to put medicine and learning in a fun format for the next generation of doctors.